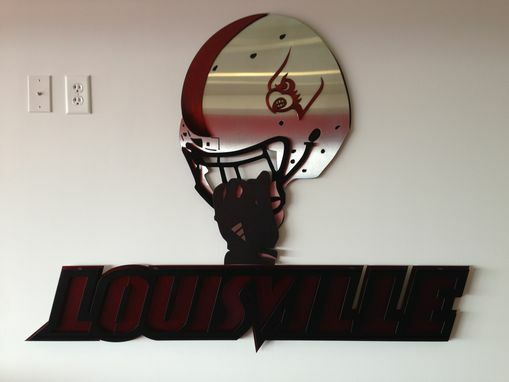 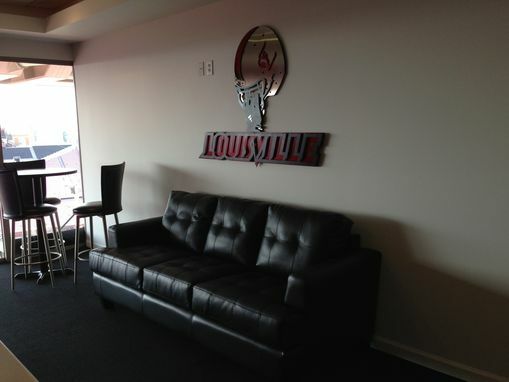 Custom made corporate suite wall art for the University of Louisville. 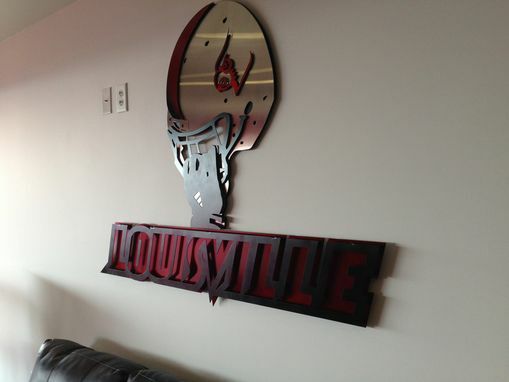 Constructed from four layers of stainless steel, measuring 60" in length and 42" in height. This concept can be custom made to your team.